PILKS chiefs pressed a Government minister to make changes to the Green Deal that would benefit the glass industry as they gave him a tour of a £36 million coating plant. Welcoming the Minister for Climate Change, Gregory Barker, to Cowley Hill, Pilkington described the new development as one of the most advanced facilities of its type in the world. Ensuring St Helens is again leading the way in glass production, it enables ultra-thin special coatings to be applied and creates a range of energy products. Pioneering products equipped with innovative green technology is regarded as key to future of the glassmaker, owned by Japanese giants Nippon Sheet Glass. 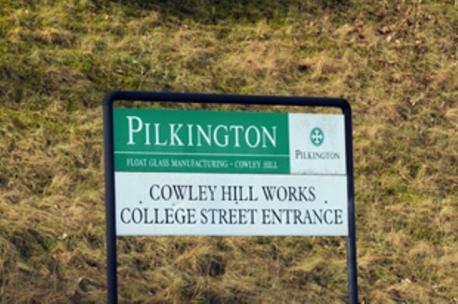 Pilks has been the focus of gloomy headlines because of its struggles in a turbulent global economy, which has led to job losses and mothballing of float glass lines in St Helens. But the coater is seen as a ray of optimism for local glassmaking. Mr Barker’s visit gave Pilks bosses the chance to show how their advancements at the facility are supported by the NSG Group Technical Centre in Lathom. They also pressed him on the Government’s Green Deal, which includes using advanced glazing for improving household energy efficiency. The Green Deal will help homeowners make energy improvements.